I finally did it! I started a blog. I will be posting pictures of new beads that I make & sometimes I will sell them on Etsy. Feel free to e-mail me with any questions. Here we go! 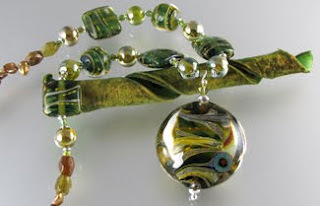 This necklace is made with Double Helix Triton glass.